Active over 15 years in the corporate world in leading roles in business management, HR and Communication, Caroline followed her passions and became an entrepreneur, a Talent Spotter, a Business Booster and a lecturer in Intercultural Communication, enjoying the interactions with the Millennials. 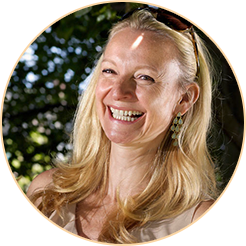 Famous for her natural networking skills and talent to bring people together, as well as for her creativity in launching innovative initiatives, Caroline has practised professions linked to people and to connecting individuals, professionals and personalities. Her professional, associative and charitable commitment established an impressive international network. Caroline was born in Geneva in September 1967, Anglo-American father and Prussian mother. Masters in Political Sciences from the University of Geneva; British and Swiss nationalities. Trilingual (French, English and German). She is the mother of two wonderful daughters. President of Career Women’s Forum / CWF (2007-2009), a major Swiss Business Association and President of the Geneva chapter of European PWN (European Professional Women’s Network) and founder of the 1st Forum “Women as an Added Value to the Economy” (WAVE 09). Former General Secretary of SECOND CHANCE Association dedicated to surgical training of local surgeons in reconstructive surgery in deprived areas of Africa and Asia for war victims and patients suffering from skin diseases or mutilations. Founding member of KAIROS Association Switzerland, which pioneers a new approach to prevent teenagers to engage in health risk behavior leveraging video, mobiles, and online gaming. Former Board Member of the “Alumni of University of Geneva” since 2009. Large experience in dealing with top executives and CEOs as an Executive Search consultant, as well as a member of the senior management of two banks and as the President of the CWF. Create value for your organization by working now with us in finding your best talents! Headtohead is a boutique of Talent Spotters and People Boosters for those and with those who want to change tomorrow! Our distinctive eco-systemic approach to recruitment is successfully creating value for organizations.